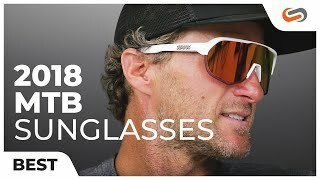 The Bollé B-Rock prescription sunglasses are the first mountain bike model made by Bollé and they don't disappoint! These stylin Bolle sunglasses will satisfy the needs of thrill seekers and adrenaline junkies everywhere! The B-Rock sunglasses have a full rim to offer maximum protection and better coverage so you can face the elements head on. These sports sunglasses are extremely comfortable with a brow bar inside the frame that provides a wide field of view to ensure perfect vision and comfort through your ride.